Please note that our shipping charges are subject to change without notice, however, such changes will be immediately reflected in your shopping cart. Backorders will not be subject to price changes. Backorders will not be shipped overnight, second day or express. Method of shipping for backorders will be at National Bridle's discretion. In addition, there are special exceptions such as saddles, carts and certain leather goods that require extra packing to ensure you receive your product in perfect condition. We will let you know when certain items require additional charges. Packages weighing over 75 lbs. could be subject to additional charges. How much will you charge me for shipping my order? Your shipping charge will vary based on the subtotal you order, the type of products you purchase and if you are in shipping to the lower 48 states, Alaska, Hawai or to an international address. For customers outside of the lower 48 states, please call us toll free for a quote: 1-800-251-3474. 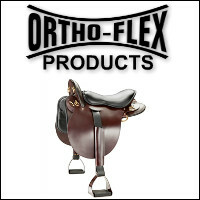 Saddles, each - add an additional $16.95 to shipping charges above that apply to order. For overnight saddles and second day saddles call for actual freight charges. 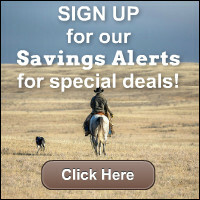 Saddles are an additional $16.95 shipping. Carts require an additional $76.95 charge; and some of our custom whips also require an additional $7 charge for the same reason. These products require additional packaging and handling charges to ensure they make it to you in perfect condition. 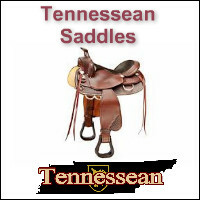 UPS requires a signature for Saddles over $500.00. Most customers will see their in-stock items within 5 - 10 business days. We ship all orders promptly. However, occasionally items are not in stock due to manufacturers' delay. You will be notified of any delay. (On custom or special orders, please allow approximately 4-6 weeks for delivery or see delivery times, where indicated, with specific custom items.) Checks are deposited upon receipt of order. We will contact you to correct the shipping address. Additional shipping charges will be applied if you entered the wrong delivery address. Customer will be charged additional shipping of any refused package. Average orders up to 10 pounds range in cost from $13.00 - $25.00 per box in addition to your regular shipping charges. You will receive your in-stock items in 2 business days. If you would like an exact quote please call 1-800-251-3474. You must place your order by 12pm CST. Call for actual freight charges. You will receive your in-stock items the next business day. If you would like an exact quote please call 1-800-251-3474. You must place your order by 12pm CST. We ship UPS and USPS. Most customers will see their in-stock items within 5 - 10 business days. Average orders up to 10 pounds will cost and additional $19.00 per box in addition to your regular shipping charges. If you would like an exact quote please call 1-800-251-3474. Please call 1-800-251-3474 for a quote. I have my own UPS shipping account. Can I use it to ship my order? Please call 1-800-251-3474 to have us ship your order using your own UPS shipping account.